Pew Global Economic Attitudes director, Bruce Stokes, visited the Dialogue today to discuss perceptions of China in Latin America. 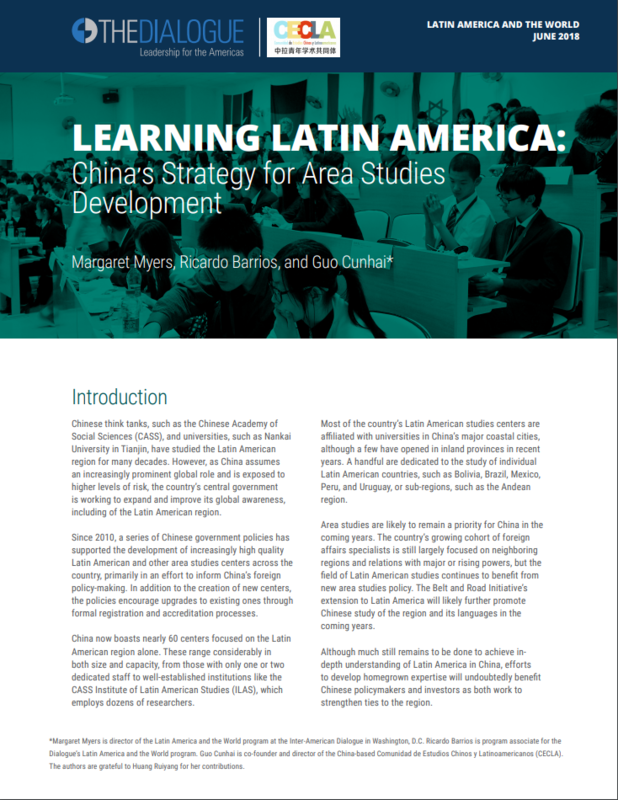 Based on just-published results of Pew polls in Brazil, Argentina, Mexico, Chile, Venezuela, Bolivia, and El Salvador, Bruce examined views on China’s growing engagement in the region. The Pew study finds that although the US is generally seen as having a greater impact than China among the countries surveyed, China’s influence is generally viewed more positively. And while participants generally appreciated China’s scientific and technological advances, they looked much less favorably upon other elements of Chinese “soft power” — ideas and customs, pop culture, and business practices. In addition, younger participants viewed China more in a more positive light than older ones. In all but six of the countries surveyed globally, majorities think that China will replace the US as the world’s leading superpower.